Part kits from RockAuto are a convenient way to save time and ensure success. Brake kits include premium matched pads and rotors for quick, controlled, quiet stops. 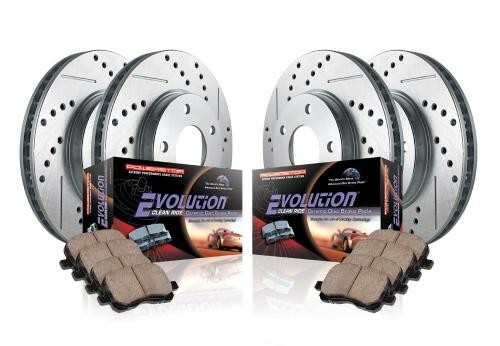 An example, a Power Stop performance brake kit (drilled & slotted rotors, carbon fiber/ceramic pads) for all four wheels on a 2010 Dodge Challenger is currently less than $350. Find brake kits and parts for your specific vehicle under the Brake/Wheel Hub category at RockAuto.com.